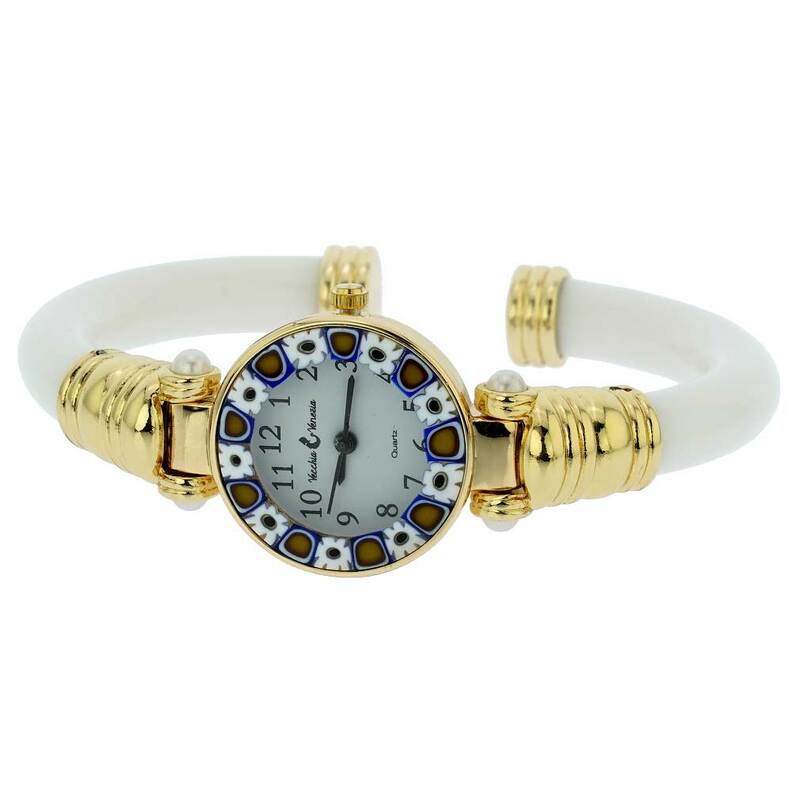 This elegant Murano glass bangle watch is a unique timepiece featuring high-quality workmanship and the most famous Murano technique- Millefiori (a thousand flowers)- which has become the trademark of Murano glass making. 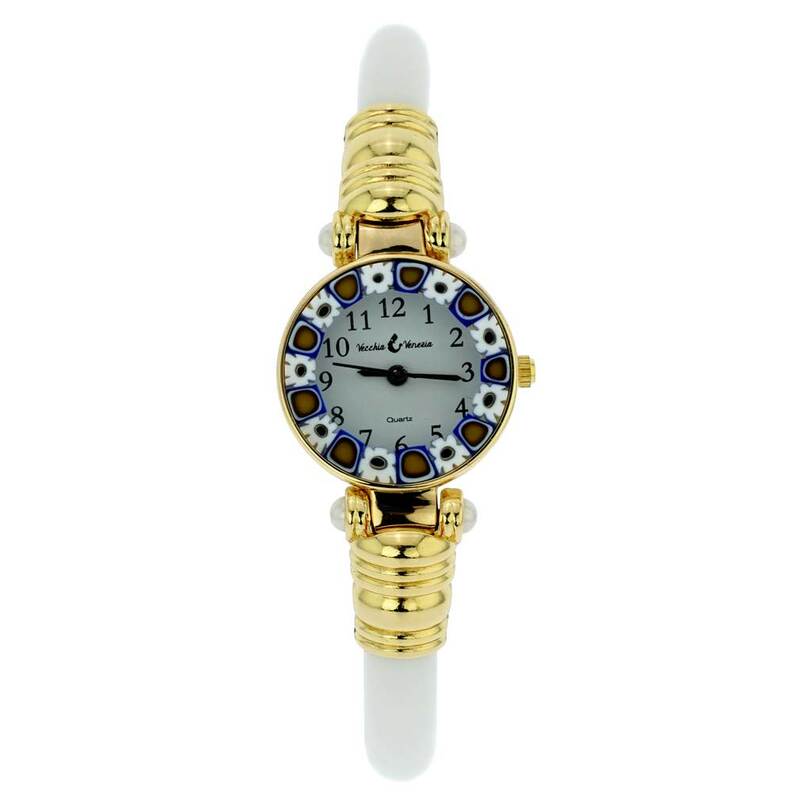 Stylized flowers in beautiful colors grace the hand-made face of this watch and, together with the stylish gold-accented bangle bracelet, give it a trendy and unmistakably Venetian look. 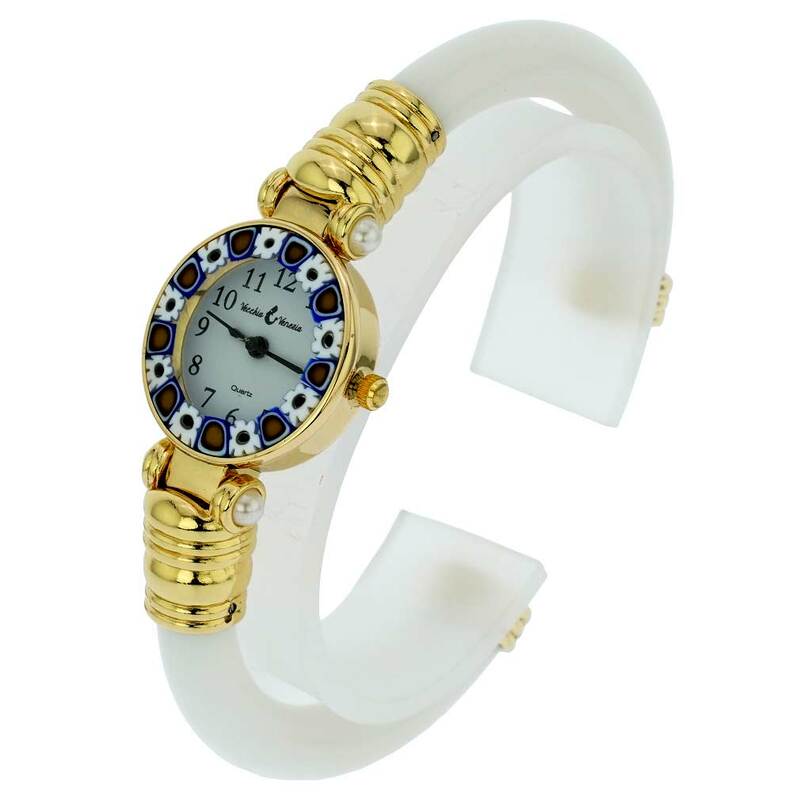 This Murano watch adds a perfect accent to any wardrobe and works equally well for your casual outing or a night on the town. 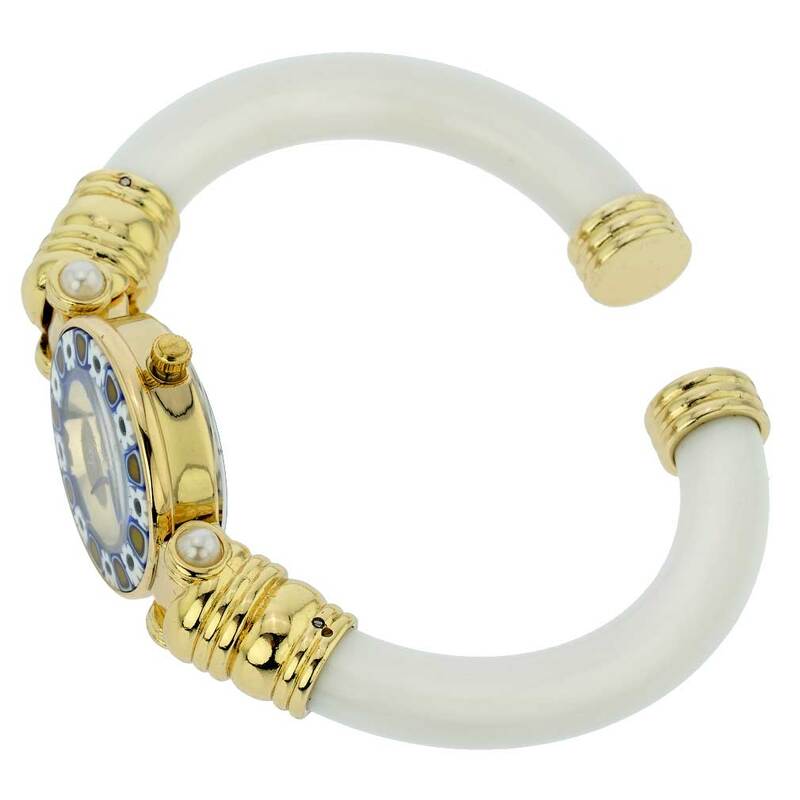 The face of this Murano glass watch measures 1 inch in diameter. The watch features a goldtone case, mother of pearl dial, and a high-quality Miyota 2035 movement made by Citizen. 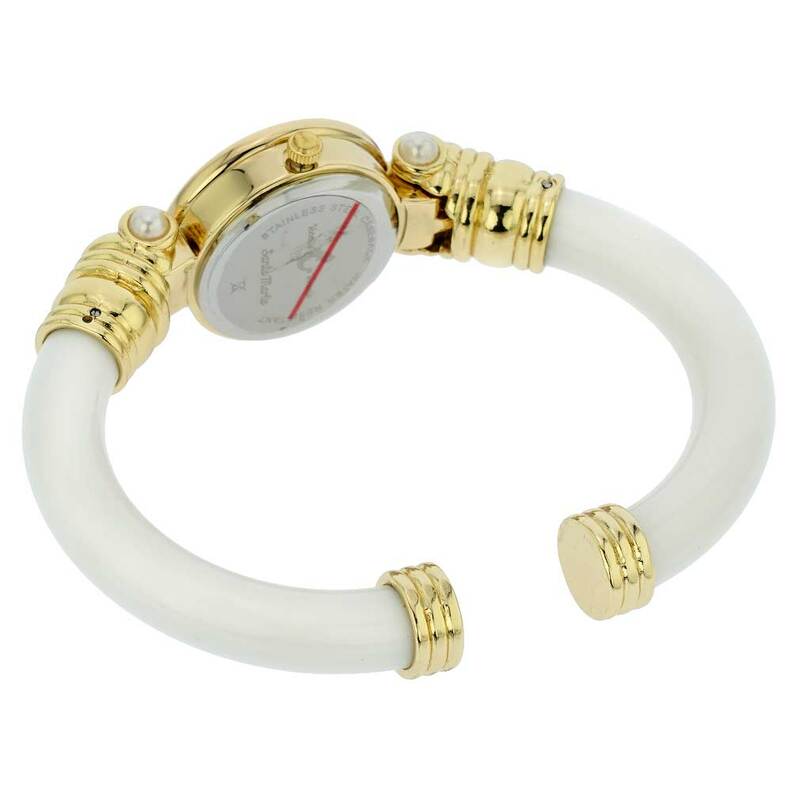 The attractive bangle bracelet is stylish and durable, and fits a wide range of wrist sizes. The watch comes with a velvet pouch and a certificate of authenticity.